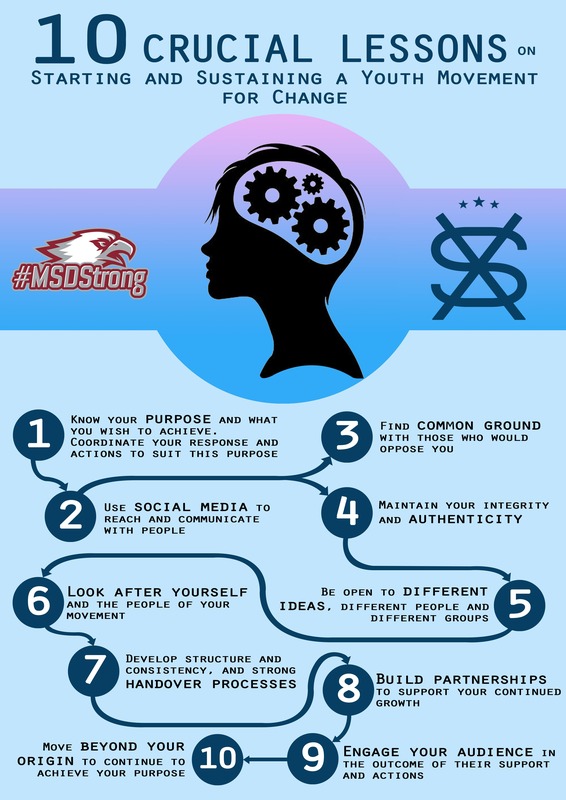 The Student Volunteer Army (SVA) this week released the 10 Essential Lessons for starting, growing and sustaining a Youth Movement, as understood by the SVA and Marjory Stoneman Douglas High School student leaders. In July 2018, 28 student leaders from Marjory Stoneman Douglas High School traveled to New Zealand to engage with 30 members of the 2018 Student Volunteer Army Executive. The two groups participated in a week long exchange of ideas on youth-led change, sustainable movements, leadership and activism.